Deputy Anne Jackson was shot and killed after responding to a disturbance at a residence in the small town of Alger. When dispatchers were unable to reach her, another deputy was sent to the location and found her body, along with a second shooting victim. A suspect was located and led responding officers on a pursuit down I-5 in which he wounded a Washington State Patrol trooper and fatally shot another motorist. He was apprehended at the Skagit County Sheriff's Office by members of the Washington State Patrol, Mount Vernon Police Department, and the Skagit County Sheriff's Office. The ensuing investigation revealed that the suspect had also murdered three other people on two properties near the location where Deputy Jackson was shot. On September 17, 2009, the suspect pled guilty to six counts of murder and was sentenced to life in prison or a mental institution. His sentence begins in the state mental institution. When he is deemed to be competent and no longer dangerous he will be transferred to the state penitentiary. 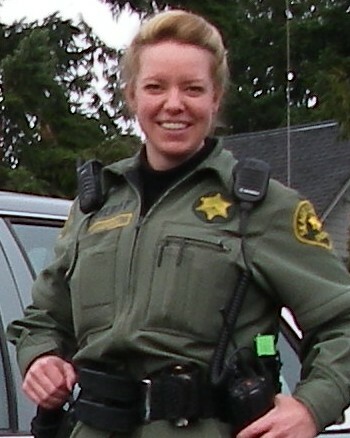 Deputy Jackson had served with the Skagit County Sheriff's Office for 6 years. She is survived by her parents. A close friend of mine was related to her by marriage. Ironically, she knew her assailant, having responded to previous incidents involving that troubled young man. The Burlington High School Football Stadium, I believe, served as the place for her Memorial Service. The stadium, predictably, was packed.